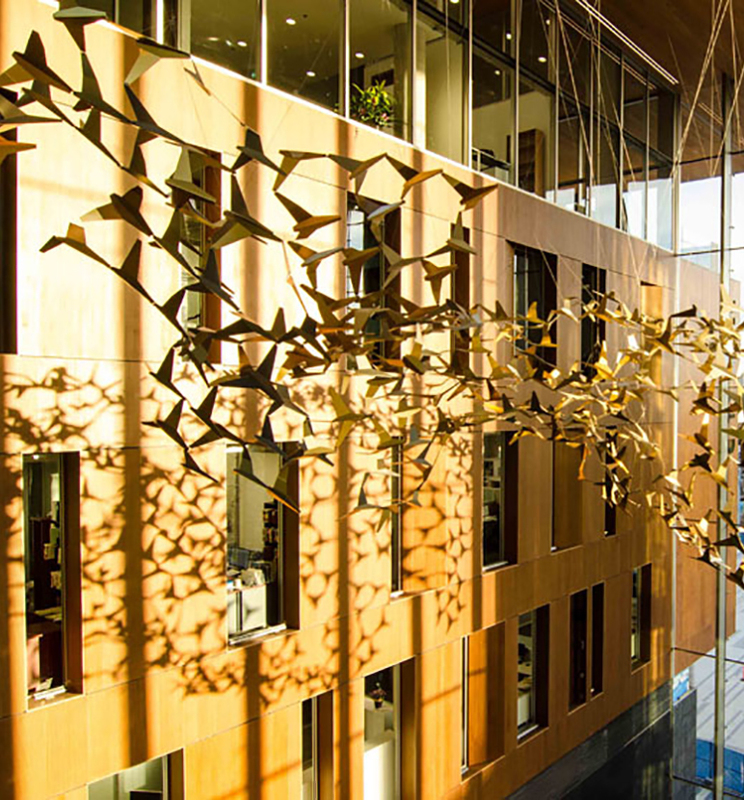 This public artwork, located in Surrey’s City Hall, features over 700 folded-aluminum bird forms suspended from the roof of the atrium. 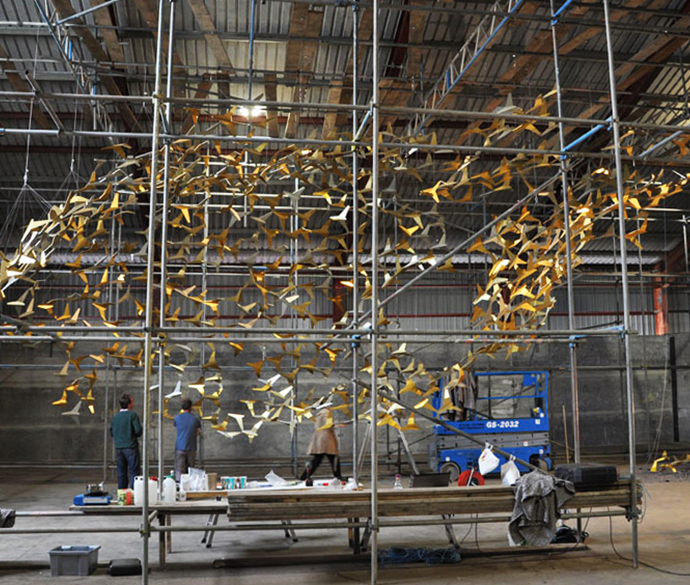 The sculpture is inspired by the theme of democracy and designed by Studio Roso. 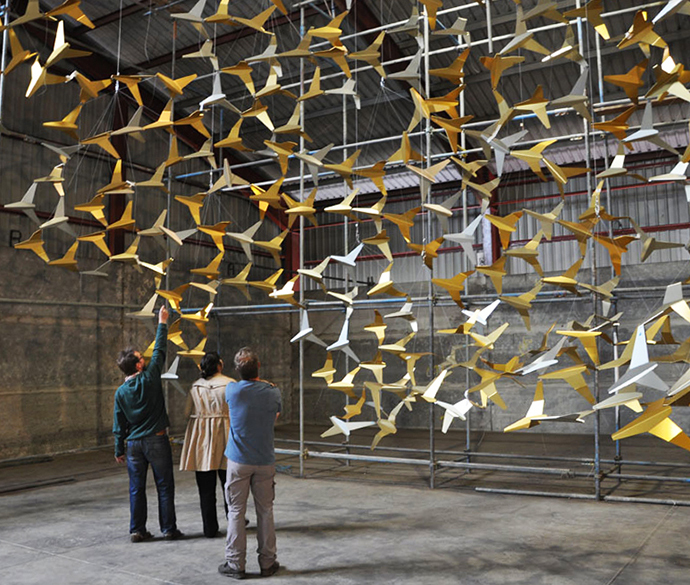 There are five unique bird forms within the sculpture and five different colours of gold used. 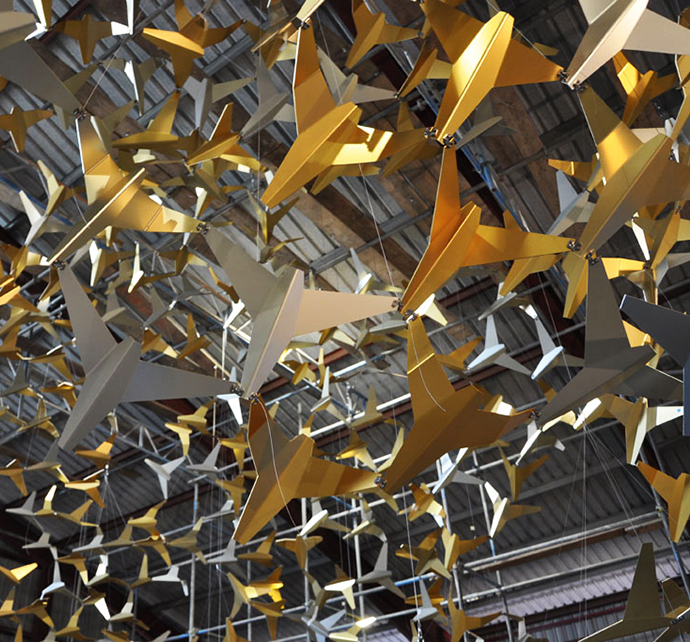 Designed to resist seismic loading, the individual forms are restrained by a network of tiny wires and connections between wing tips. The work underwent a test assembly in the UK, where the components were manufactured, prior to installation in Canada.